The other day I was in the mood to create something, but wanted to keep it simple, and use what I had on hand. I used the chocolate cookie dough in the fridge as my jumping-off point. 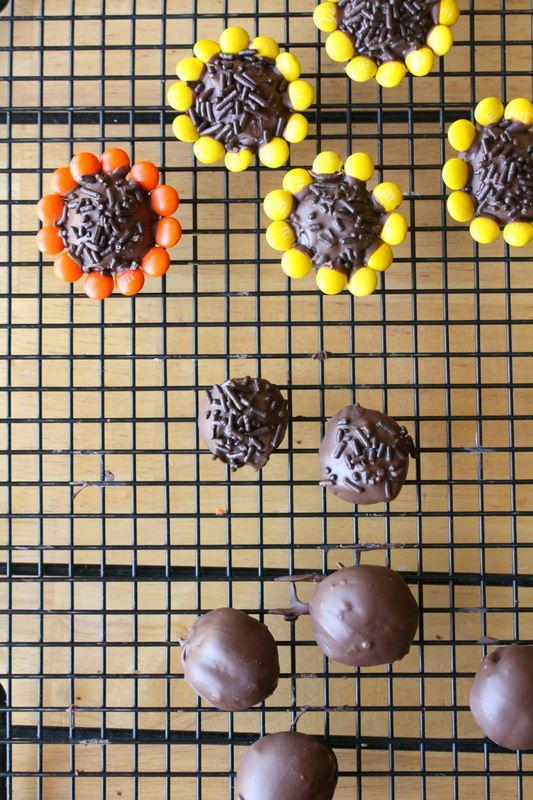 I peeked into my pantry and came up with the mini m&m's, chocolate jimmies and some chocolate candiquik to create some mini sunflower cookies. The recipe is Lilaloa's "The End-all for Chocolate Cookies Recipe". 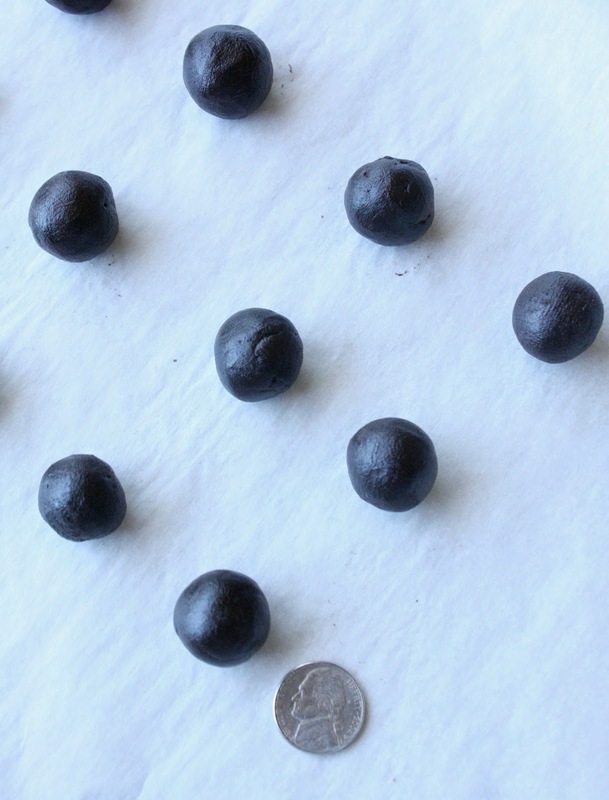 I wanted them mini, so rolled them into balls about the size of nickels, and then placed them in the freezer for about 10 minutes to help keep their shape. The cookies then cooled completely on a cooling rack. The next step was to melt the chocolate candiquik and dip each cookie in the chocolate, top side, down. After I set them on wax paper, I sprinkled each one with chocolate jimmies, and let them dry. To add the flower petals I used some reserved candiquik. I dipped each mini m&m (yes, one at a time:)) into the chocolate and then gently pressed it into the cookie and held it there for a few moments until it adhered. I did this all the way around each cookie until I had a completed flower. It may sound tedious, but I actually think the creative process is fun, and I did this step while I watched t.v. :) I made a dozen of these little colorful cuties. They're so perfect for spring or summer. i saw these on my bloglovin' feed. clicked on it. fell in love. the end. These are so lovely, Sue. You are truly an artist. I love when you can create something with things on hand - it was meant to be, they are super cute! Definitely have to try these! Looking so cute and delicious! Yummmm! Soo cute! I would love it if you joined and contribute your awesome posts at my link party at City of Creative Dreams starts on Fridays :D Hope to see you there at City of Creative Dreams Link Party. 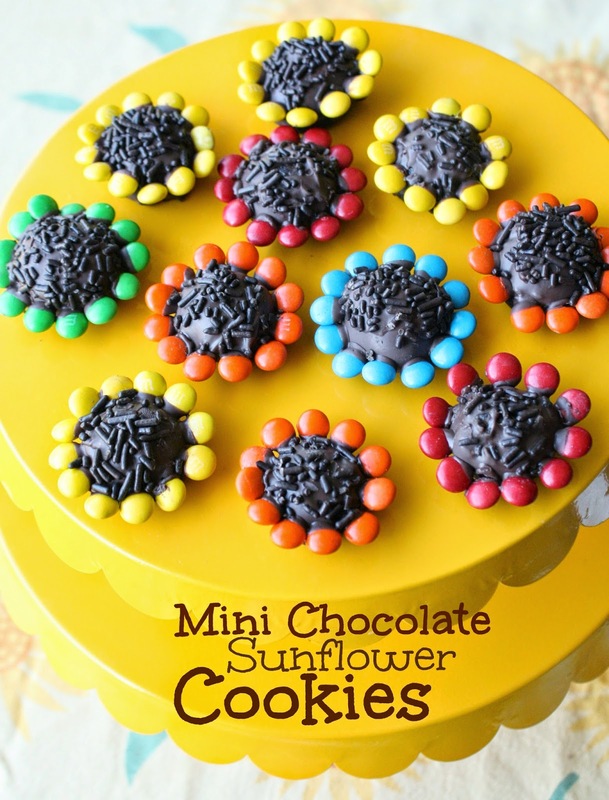 These chocolate sunflower cookies rock! Such a cute and delicious idea. You make me smile :) Thanks!